Ever since Eve got Adam to eat the Fruit from the Tree of Knowledge of Good and Evil, humanity has found munching away on things we shouldn’t to be irresistible. While this fondness for putting strange things in our mouths has sometimes caused terrible tragedies, they’ve also given us some pretty important and momentous discoveries. Here are 8 things that already taste pretty awesome on their own, but are even better when eaten wrong. The right way to eat cookie dough is that you don’t. You cook it first, turn it into proper cookies, before you’re allowed to lie about not finishing a dozen all by yourself. Everyone loves cookies, mostly because there are literally hundreds of varieties out there. Whatever specific taste or texture combination you’re looking for, there’s a cookie recipe that meet your requirements. We even have a few unique ones of our own right here on Pepper. Admittedly, by now, eating cookie dough by itself is hardly unusual or rebellious. They sell ice cream (and cakes and pies) with raw cookie dough buried inside as a special surprise. You can even buy (or make) cookie dough that’s meant to be eaten as is, never to see the inside of the oven that you really should clean one of these days. Still, it’s a classic, and I felt compelled to include it on this list. Besides, the thrill of eating a spoonful of the real stuff, a Russian roulette of will-I-or-will-I-not-catch-Salmonella from the raw eggs, is pretty hard to beat. When I was kid, you were either from an Ovaltine household or dead to me unlucky enough to have parents who only ever bought Milo. You could drink it hot, cold, with or without milk, it didn’t matter, Ovaltine’s always a delicious and refreshing chocolate drink. When I was four years old, still too young for school, I’d spend my mornings keeping my grandmother company as she hung out at our porch. She would dunk freshly baked pandesal into her coffee while I dipped mine in Ovaltine. It was my favorite time of the day. Unlike other powdered drinks, Ovaltine has a much coarser texture, resembling sugar more than baby powder. It’s sticky as hell too, and any bit you spill on yourself clings fiercely to your clothes. They’re a great dessert/snack when eaten by itself, even without any hot water or milk. Just put a spoonful or three in a mug and go to town with your spoon. It gets better the longer you eat it. The (gross) secret is in your saliva. With each mouthful, the residual drool on the spoon combines with the Ovaltine to form makeshift chocolate-malt taffy. For creative kids, you could try adding in some dry powdered milk for a more complex flavor profile. This addition makes it a little more special (but still slightly disgusting if you think about it too hard). There’s a reason why fast food deliveries come with a “be there in X minutes” guarantee. While most of the things on their menus are delicious explorations of the dangers of heart disease, they’re only good when served hot and fresh from the kitchen. They revert quickly to their true forms once left to cool. Fries turn into wet papier-mâché, buns become a plastic polymer sponge, and burgers patties take on the taste and texture of well-worn vintage shoe leather. Theoretically, the same degradation should happen to their chickens too, right? Oddly enough, fast food fried chicken seems to be immune to the decay its brother burgers and sister spaghettis are forced to undergo. As anyone who’s ever had cravings at 2AM would attest, eating cold KFC or Chicken Joy straight from the fridge is far from an unpleasant experience. It’s not any worse than a breast or thigh you just ordered, just different. While thinking about eating a cold burger steak (with bonus solid rubber gravy) is enough to give me the hibbie jibbies, there’s something about ref chicken that always hits the right spot. I don’t what makes fast food fried chicken a special exception, and I don’t really feel a need to find out. I just accept it as a universal constant, like gravity or Ellen Adarna’s instagram account. It’s simple. You eat one and then the other, but never together. Don’t be weird. While eating your (apple or peach mango, hopefully not tuna) pie with your sundae is now a thing (you can even get them to whiz it together for you with their blender), those combinations work because sweet on sweet is an easy decision to make. Fries with your soft serve, though, is a more exotic pairing that still, oddly, works. As I’m sure your neighborhood hipster would be glad to tell you, long before Salted Caramel everything became trendy, he’d been dunking salted, deep-fried taters in caramel sundaes for years. He’s glad, though, he says, that we’ve finally caught up. So am I. Follow the directions at the back of the packet and try not to mess it up. You could add an egg or two if you’re feeling adventurous, but that’s pretty much it for customization. (Or you could channel your inner David Chang and try to make gnocchi.) Just don’t mistake your instant yakisoba for mami and accidentally add the seasoning to the hot water, which is totally a widespread problem that constantly happens to many people all over the world and not just me (I hope). Eating your noodles like chips, straight out of the plastic packet, is both convenient and pretty yummy. There’s no need to wash any pots or pans, plus you have an extremely wide variety of available flavors to choose from. Most instant noodles are fried before they’re processed and packaged, so it’s probably safe to eat. As a child, there was no easier way to look like a rebellious badass at nine years old than eating instant pancit canton raw and dry, at least not without resorting to tattoos or Dennis the Menace-type shenanigans. I remember, back in elementary school when Ghostfighter was still on IBC13, I’d see ads in between rei guns of a noodle snack that basically marketed itself as a potato chips alternative. Of course, when I saw that, I immediately wanted to buy one and cook it instead. I was a weird kid. Served by your mom on a lazy Sunday is the way most of us were introduced to ginataan and champorado. You’d need to blow on each spoonful before putting it in your mouth, cooling it down so you can actually taste the cacao or coconut flavors without burning your tongue. Inevitably, it would turn out that your mom had cooked too much. She’d pack away the leftovers in Tupperware she had bought from her friend/door-to-door saleswoman, and store them in the refrigerator. The key here is to be too lazy to reheat anything. Ice-cold champorado and ginataan turn into instant dessert once you stop trying to warm them up on the stove each time you get hungry. I’ve always believed that anything sweets works just as well (or sometimes better) cold as when it’s hot. I do this with all kinds of snacks, from peanut butter sandwiches stored in the freezer to buttered pancakes chilling in the meat tray. With the holidays just around the corner, the local ham industry is going to be subject to another dramatic increase in demand. This is bad for the cows, but good for the gym industry’s New Year membership quotas. Buying ham for the dinner table is practically a prerequisite for Noche Buena. It pulls double duty as both food and set piece. You carve yourself a few portions, slather it in the sweet syrup glaze included, and make a sandwich out of it along with Queso de Bola and maybe a couple of slices of homemade brioche or focaccia. While that ham syrup is meant for the meat, any left over the next day will make your Christmas morning breakfast a lot more special. It doesn’t matter if you pour it on pancakes, waffles, or even French toast, it goes perfectly with all three. The syrup is sweet enough to be an effective substitute for Maple, but it also has that hint of ham that just adds another layer of flavor to your breakfast breadcake of choice. In the movie house, with your hand in the bucket, a pretty girly by your side, and Ryan Gosling on the giant screen. Hopefully, it’s on IMAX 3D. In milk. No, really. Eating flavored popcorn like you would cereal is a concept that’s at once so out-of-the-box you’d never think to do it on your own, while at the same time making so much sense once you try it that you don’t understand why the whole world isn’t doing it right this minute. It’s basically the Breaking Bad of breakfast food. Plain popcorn, by itself, already shares many of the same qualities that the best cereals (aka Cap’n Crunch’s Peanut Butter Crunch Balls) also possess. It’s made from a grain that’s arguably healthy, it’s light, floats on the milk, works well with a plethora of flavors, and is even vegetarian-friendly. While you can opt to use the cheapo caramel and chocolate flavored popcorn that you can get for eleven pesos a pop at the local Sari-sari store (this is a pretty hit or miss option, though), buying the (relatively) expensive Chef Tony popcorn to use as pseudo-cereal is an indulgence everyone has to try at least once. It’s amazing, even the cheese flavors work well with the milk. Of course, the best option is to make some of your own. Just like with these two recipes we posted today, creating your own popcorn flavor will let you customize it to whatever freaky thing you’re into. Want to make bacon and egg popcorn? Go ahead. Dilis with chocolate? No one here will stop you. Caesar’s salad popcorn with real leaf bits? Get out and don’t come back, we can’t be friends anymore. Know of any other wrong things that just taste so right? Spread the word by leaving a comment below. Also, if you enjoyed this article, hit the facebook like button or share it on twitter! Btw, here’s a more sanitary option for those who have a raw noodle obsession like me: Nooda Crunch! I only see these at 7/11 nowadays though..
Dang! Someone beat me to the Nooda Crunch. Hahaha! GOOD TIMES. GOOOOOOOOOOOOOOD TIMES. Made the horrible mistake of eating this one straight from the pouch into my mouth. Inhaling the flavor powder was so painful it made me question my decisions in life. Bakit di ko alam yung popcorn and milk combo?? Cold spaghetti is also good. haha! My mom always told me that “raw” instant noodles was bad for you. I never listened and still always ate those “raw” noodles. Lol. 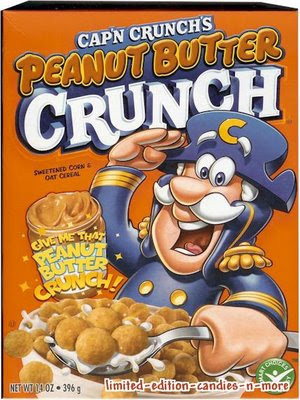 I even remember when I was a kid, Nooda Crunch became a fad to capitalize on that! Good times, good times. People like cold champorado? Ang lungkot pag malamig, eh. Hehehe… I like my champorado hot with a thick layer of cold evap milk. I don’t know where I got it from but I used Ovaltine as palaman for hot pandesal when I was a kid. “Kahit walang tubig, masarap pa rin.” Lol. Call me weird, but I preferred my Ovaltine palaman with Cheez Whiz. Sweet and salty. Yum! Guilty of 5-8. Ma-try nga yung 1-3. Wait! Dapat kasama dito yung kape sa kanin combo or powdered milk and kanin combo. Diba? It’s never too late to try 🙂 Pero personally, di ko trip. I gave it a few tries pero di pa rin e.
Well there’s Boy Bawang and vinegar cereal combo. my cousin did this! he’d empty packets of boy bawang into a bowl with vinegar. he’ll scoop up the kornik with a spoon and then drink (gasp!) the remaining vinegar. I’ve tried eating dried noodles before. Not really good for digestion. The instant noodles reminded me of David Chang in TMOAC…hahaha! HAHAHA Excellent stuff, lars and kim! hangkyot ng illustrations! :> Gawa na kayo ng libro! i remember eating instant ramyun dry with all that spicy powder, 🙂 its actually great@ and yeah! cold pizza and fried chicken, midnight snack for a dvd marathon! Hilarious but this article confirms that I’m not the only one eating the “wrong” way. 😀 I tried cooking rice with pineapple juice before, when I was a kid. my sister used to eat ube with rice. habang ang ulam sinigang. I worry about her sometimes. Chicharon dipped in Mang Tomas. Instant lechon! Cold Champorado with Powdered Milk (Preferrably NIDO) and the Cold Leg Part Chickenjoy = WIN! Is it weird that I love eating Pork Sinigang with Sinangang Rice? There’s Nooda Crunch available in 7-Eleven. Eating cookie dough? Guilty as charged. I do the same with cupcake batter. Haha. There was a time when we would put Ovaltine into pan de sal or sliced bread as if it were a spread. Lo and behold… 20 years later, there’s an Ovaltine spread. Should have patented it when I was 9 years old…..
remember this Ovaltine commercial when this kid goes, “kung walang milk?’, then the other kid goes, “masarap pa rin!’, then they will take out all the ingredients until its only the Ovaltine powder? when i was still a kid, I would make labay kanin with milk plus a dash of sugar. haha. oh good times. I havent tried popcorn in milk. Gawd thats pretty weird. Sundae and fries. Champorado, birch tree and eden cheese. Ovaltine and birch tree with sinful amounts of white sugar.